This week the Warriors head to Western Australia, the longest road trip in the NRL, to take on the Manly Sea Eagles at NIB Stadium. 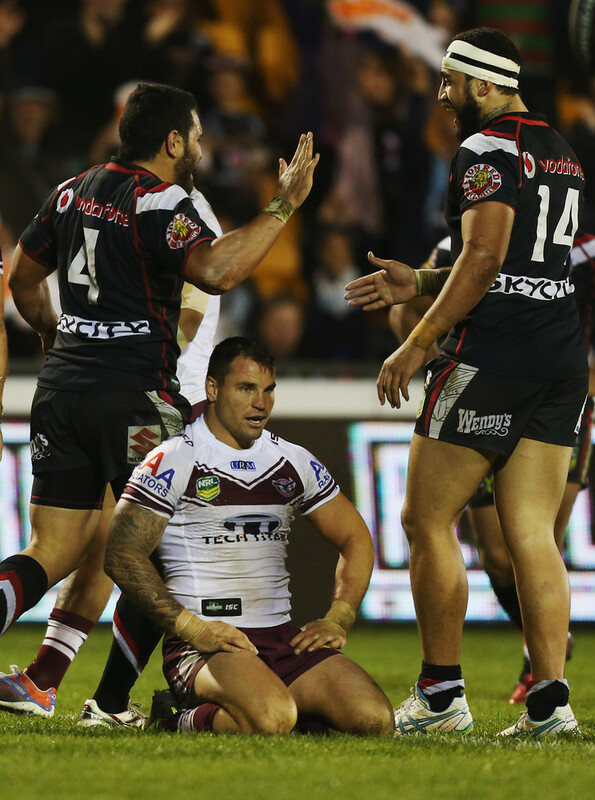 FBF this week heads back to Round 13 2013, the last time the Warriors managed to get a win over the Manly outfit. Having only mustered together 4 wins from the opening 12 games, the Warriors went into the clash on the back of a 2 game winning streak. The Round 13 game turned out to be the meat in the sandwich as the boys went on to win 5 games on the trot between rounds 11 and 16. This was a golden little period for the Warriors as they had the bye during this run of wins, helping the lads pick up 12 points from a possible 12 over a 6 week period. With the scores locked at 0-0, crowd favourite Dane Nielsen looked destined to score only to make a meal of the opportunity as fans and players alike watched a golden opportunity go begging. It wasn't long before Manly made the Warriors pay for their missed opportunity with Foran slicing through some flimsy defense before putting the NZ Warriors former ball boy, Justin Horo, over next to the posts to give the away side a 6-0 lead. Foran again was the mastermind behind the Sea Eagles second try, with a double pump being enough to open up the Warriors defence and allowing another kiwi, Peta Hiku, to crash over and extend the lead to 12 points. The Warriors were getting blown out of the game early on being on the back end of a 1-6 penalty count. As the penalties began to even themselves out the Manly side began to back pedal and the Warriors were able to crack the line with Elijah Taylor scoring next to the posts, bringing the home side back to within a converted try. A Warriors second try came shortly after, as Mateo stood in a tackle and threw a perfect ball to a flying Fisiiahi to score virtually untouched and with the successful conversion attempt the scores were back on level peggings. As the half time siren sounded, both teams headed into the sheds with plenty to take away from the first half with the scores locked at 12-12. Manly responded with throwing everything at the Warriors in the last 10 minutes. The Wolf-Man looked like he had a certain try only for replays to show that he dropped the ball as he went to put it down while under immense pressure from The Beast. Not long after the away side attacked the opposite edge and Matai was the beneficiary of a slick back-line move to get Manly back within 2 points. The conversion attempt was unsuccessful and the scores remained the same with the Warriors hanging on by 2 points to claim the win.